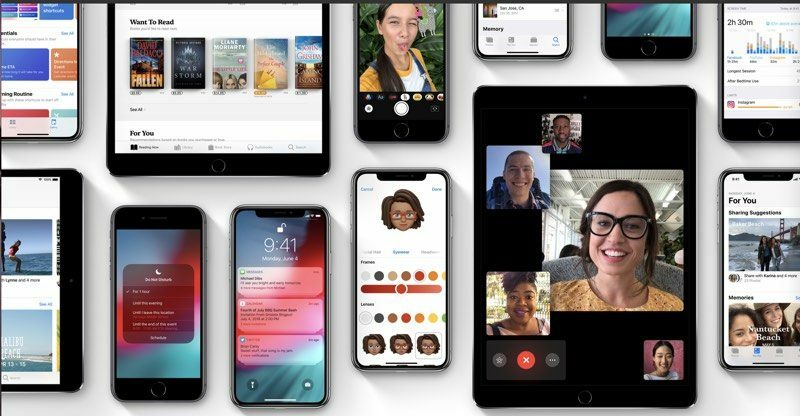 Apple will today release iOS 12.1.3, the fifth update to the iOS 12 operating system since its September launch. iOS 12.1.3 is a minor update that follows iOS 12.1.2 (iPhone only), released back in December, and iOS 12.1.1, also released in December. The iOS 12.1.3 update will be available on all eligible devices over-the-air in the Settings app. To access the update, go to Settings > General > Software Update. As with all iOS updates, iOS 12.1.3 will be free to download. iPhone owners will be upgrading to iOS 12.1.3 from iOS 12.1.2, while iPad owners will be updating from iOS 12.1.1.
iOS 12.1.3 is a minor update, and during the beta testing period, we found no major new features. According to Apple's release notes, iOS 12.1.3 includes fixes for multiple bugs affecting iPad Pro, HomePod, CarPlay, and more. The prior update, iOS 12.1.2, included a fix for eSIM activation issues and tweaked some iPhone functionality in China to remove features that infringed on Qualcomm patents so Apple could bypass a sales ban on older iPhones. THANK YOU. This has been driving me crazy. Fingers crossed this update finds its way onto the iPhone. - Fixes an issue where the iPhone XS battery case worked on the iPhone X.
Wow they already new CarPlay issues for the 2029 iPhones. Or typo? On HomePod, the update fixes bugs that could cause restarts or that could cause Siri to stop listening. ...so they're going to make Siri less human? Keyword here is, ‘will’. Still not hitting their update servers yet. I also have a three-day battery life with this update.